HERBAL TEA - One of the best things about herbal tea is its hydrating benefits. Many people are dehydrated and are not drinking enough water. Some people don't like the taste of water (or the lack of flavour), so if thats you, increase your water intake by drinking more herbal tea. On top of being hydrating, herbal tea also has various other benefits. For example, ginger tea is good for settling the stomach and reducing nausea. Peppermint tea is also good for digestion (especially after a big meal) due to its soothing properties. Chamomile tea is good for creating feelings of physical relaxation and can help to promote better sleep. BLACK TEA - The caffeine in black tea can help to increase energy and alertness (similar to coffee). But, black tea also is rich in antioxidants - which is great for your skin and detoxification systems. It's important to keep in mind that caffeine is a stimulant that can impact your energy, mood and metabolism. Caffeine is also dehydrating, so to counteract the dehydrating impact of caffeine / coffee, I suggest drinking an additional cup of water for every cup of black tea consumed (this is in addition to the 8-10 cups I recommend drinking daily). GREEN TEA - Green tea is a great addition to a healthy lifestyle. Green tea contains a significant amount of antioxidants which are beneficial for your skin and organs. These antioxidants also support and help our bodies detoxify. Note, green tea does contain caffeine (much lower amounts than black or pur'eh tea), but if you are sensitive to caffeine enjoy your green tea earlier in the day. WHITE TEA - Here is a great article from Mind Body Green that highlights and shares some of the benefits of white teal. For example, white tea is a rich source of antioxidants - with as many as 3X as many polyphenols as green tea. Plus, the article quotes that there have been studies that have shown that white tea can help in achieving and maintaining a healthy weight by boosting the breakdown of fat cells. There is also an antioxidant in white tea that triggers the release of fat from the cells and helps speed up the livers ability to turn fat into energy. 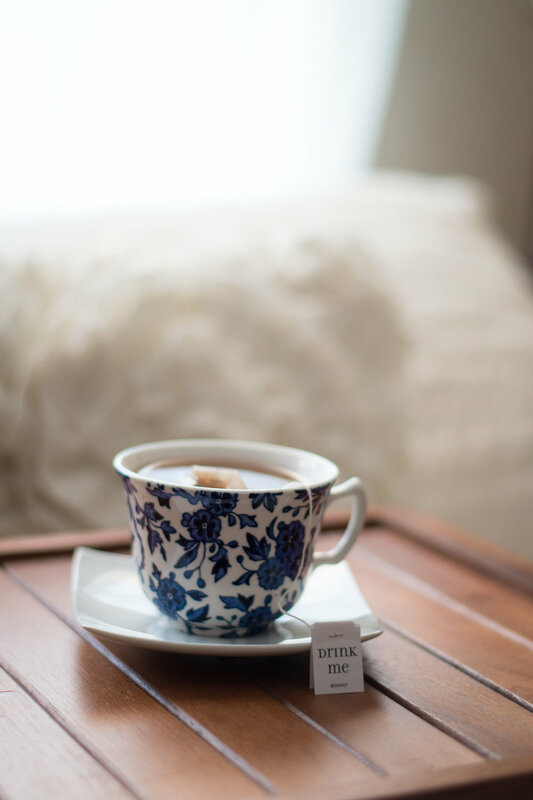 If weight loss is one of your health goals, incorporate more white tea into your diet! ROOIBOS TEA - There is a powerful flavonoid in rooibos tea which can reduce stress hormones that trigger hunger and fat storage. Again, if weight loss is your goal - add in more rooibos tea to inhibit the formation of fat cells. PUR'EH TEA - Research suggests that pur'eh tea can help to increase your metabolism and break down fat cells. Be careful, pur'eh tea contains caffeine, so if you're sensitive to caffeine, avoid drinking this later in the day. At ESME we love serving our guests Ollia teas (its local and oh so delicious). Some of our personal favourites are the Madame Grey, Marrakesh Mint, Jasmine Blossom and Summer in Paris. Enjoy a cup at your next ESME appointment.